Puzzled, I looked up and saw it was RM 5.20 for a small bundle of five buns – there was no mention of there being a 50% discount. This bakery doesn’t do discounts since it’s open 24 hours and they just cycle out their products instead. “What do you mean?”, I enquired, slightly baffled. “There’s a new guy behind the counter and he’s ringing up the buns as RM 2.50 for a pack”, the student breathlessly told me. I’m not as excited as the college kids about potential savings by shafting it to a faceless corporate entity, but it did seem funny to me. I know that there’s a single bun version for RM 2.50 – the lowest price point of anything in the bakery. I’ve also had the 5-pack bundle before and thought they were quite good – especially if they’re just 50 cents per small bun instead of the RM 1+ it usually costs. I grabbed the pack and went to the cashier, and sure enough, the new guy rang it up as RM 2.50 when it came to the students turn. He also rang it up as RM 2.50 for me. I saw the supervisor beside him and was about to tell him about the mistake when I thought, why ruin the students fun? Let’s see how long they can keep this up. I went there again the next night, and lo and behold, there was only a single pack left! There’s usually about 6 packs stocked on the shelves, it’s not a very popular item, but word seems to have gotten around and it’s *open season* on the “half price” butter milk buns. I glanced outside and saw that the new guy was still on duty, and added it to my purchases to see if he’ll still do the same. Surely, he must have learnt of his mistake! 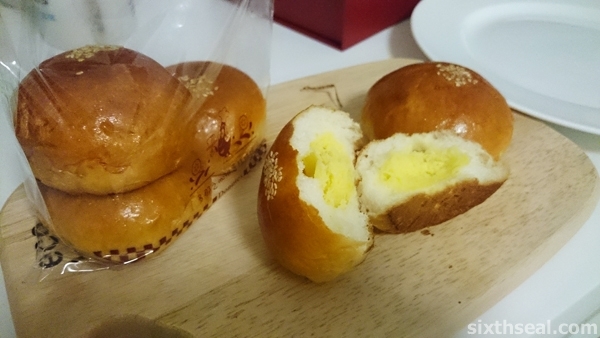 How can a bag of 5 buns be as cheap as RM 2.50? Doesn’t he know better? Has he never looked at the bakery’s offerings? Most items are around the RM 6-10 price point! Nope, it turns out that he was totally unaware of his mistake, and rang it up as RM 2.50 again. I went again earlier today and saw that the new guy has left. 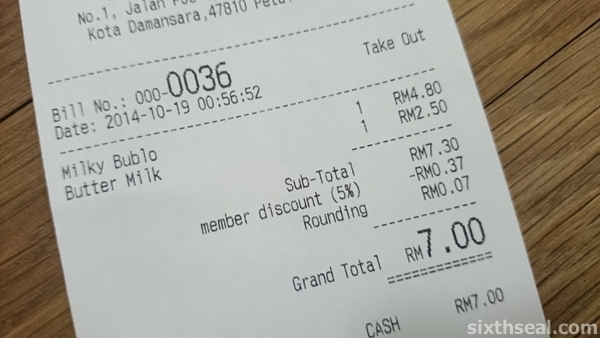 I had a bag of the butter milk buns with me and it was finally tabulated at the correct RM 5.20 price. 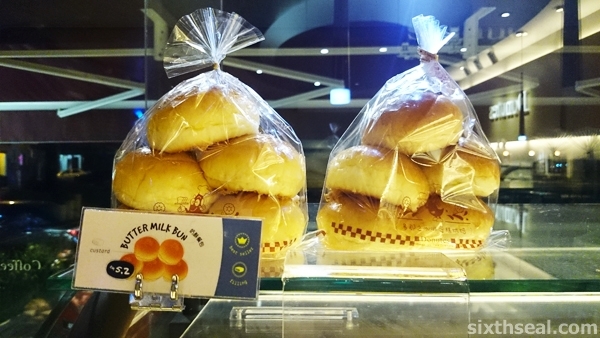 It was the supervisor behind the counter and I finally got the chance to ask him – “Did you know the new guy was scanning the bag of 5 buttermilk buns as RM 2.50 for a couple of days?”. He replied in the affirmative and said he’s been let go as a result of that. It turns out that they were selling out of the bags every single day, so they made more as a result but the books at the end of the day didn’t add up. They just realized what he had done after 4 days! This bakery did not use barcodes for their products? P/S I replied your comment. Better to go on Sat at 9am if you can’t make it early on Friday. Sometimes she sold out by 12.30 noon. It’s from product recognition – which can be tough since this bakery has a long list of items, but I was surprised the new guy didn’t realize that it can’t be that cheap. Even after a bunch of students sapu the entire stock to eat there. Thanks for the reply, I shall go and get it in the mornings then. Poor chap but he’s really giving away the buns. I guess he got an earful from the boss. Good for the students! 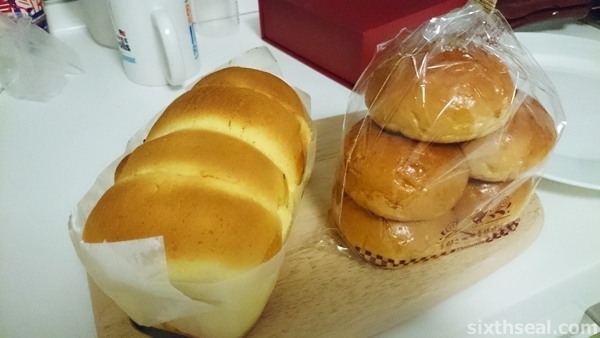 The buttermilk buns doesn’t sell very well (which is why there’s always a stack of 6 even late in the morning) so doing this has gotten a lot of people interested in the buns – some got it at half price, some got it at full price so it should all work out in the end. Oh dear!!! They got rid of him. Even though they were making more? Tsk! Tsk! Pity him lah!!! He could have been dyslexic, and got the numbers jumbled up. I would have pointed out his error. Poor thing! I found out just now that it’s not the only reason. It seems that the guy doesn’t take care of his hygiene very well (can see that too, hair is greasy and he doesn’t iron his uniform) which is a big no no in the service industry. It was a lot of reasons, I guess. At least the students got discounted buns for a few days. When working ones have to be alert at all times. How can he do it for 4 days without noticing something was not right? If he noticed, why did he not asked the Supervisor? Let’s hope that guy will learn to be more alert in his next job. He’s a bit more discreet though, he’ll only do it late in the night/early in the morning. The bakery has a rewards scheme via QR code and he’ll give me extra receipts to scan, which can be redeemed for more points. The real reason the new guy was fired was coz of hygiene – apparently he doesn’t keep his personal grooming up to the bakery standards! food and pastires. It was end to the and still good. Last me for a few days and see it good money saving. Real fancy pastries cost a lot but end of day sale was a super saving. Glad you enjoy it too. Not this one though, coz it’s 24 hours with 3 baking times each day, so they just cycle out their products rather than sell it off at a discount at the end of the day coz there is no “end of the day” at a 24 hour operation. 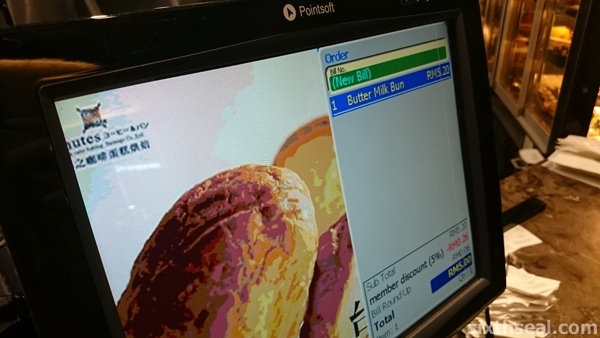 aiyo, i feel bad for the cashier, the students must be so happy to see his face again! I also heard he was really fired coz of bad personal hygiene – not up to the bakery standards, it seems! The guy actually lost his job coz of poor personal hygiene, it wasn’t just this. Mistakes can be forgiven but apparently he was warned about his appearance (greasy hair etc) and unironed uniform (lots of creases) so he looked very out of place at the bakery. The supervisor told that that was the reason he was fired but apparently it’s hard to fire someone for personal hygiene so they had to find another reason. I just visited this place a few weeks ago for the first time and it was packed with young peeps. I like their marvelous spread of bread, buns and cakes! I was not aware about the discounted items until you shared. It’s always packed 24 hours a day, mostly students hanging out here instead of at a mamak coz they have air conditioning and also fast WiFi. I thought the offerings are pretty good too, I always seem to buy here when I need to get something to eat in the middle of the night, coz they’re the only bakery still open.